Crestview softball opening – NWC-Sports.com | The Official Site of the Northwest Conference for nwc news, nwc scores and more. The Crestview Athletic Department is seeking qualified candidates for the position of varsity softball coach. 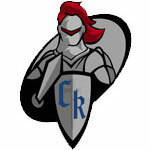 Highly qualified individuals are encouraged to submit a resume and letter of interest by Friday, August 9 to Dave Bowen, Crestview Athletic Administrator, 531 East Tully Street, Convoy, Ohio 45832 or by e-mail to bowen.dave@crestviewknights.com. There are currently no teaching positions available.